The Health Center currently occupies 10,000 GSF in a facility originally designed as an infirmary building. The Health Center offers the following services to students: General Medicine, Lab, Health Education, and Substance Abuse Prevention. 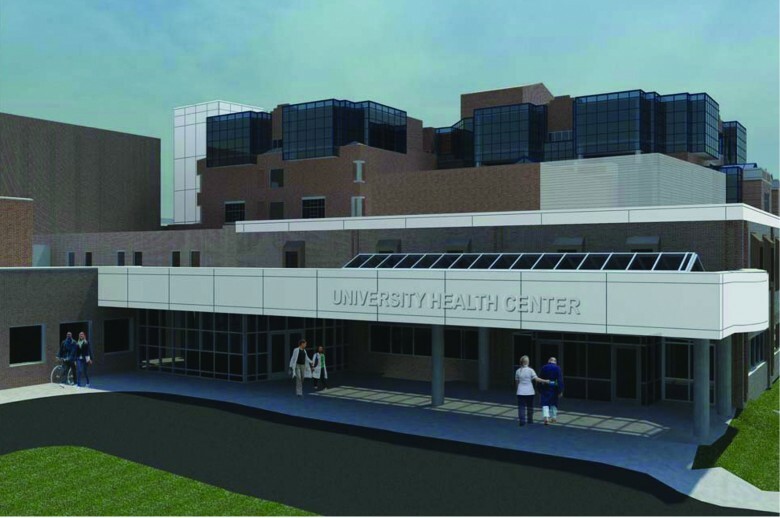 The new Health Center will occupy 44,000 SF and will provide the following services: General Medicine, Women’s Health, including nutritionist consultations, Pharmacy, Urgent Care, Lab, X-ray, Health Education, and Substance Abuse Prevention. The Counseling Service is housed in a separate academic building and offers group and individual counseling sessions, Stress Management, Women’s Health, Sexual Assault Counseling, and Psychiatry. The expanded Counseling Center will continue to offer the same services while adding stress management suites which can be accessed without entering the counseling waiting area.